President Museveni has said that the invasion on Libya that led to the overthrow of Col Muammar Mohammed Abu Minyar Gaddafi, was a total shame on all African states. 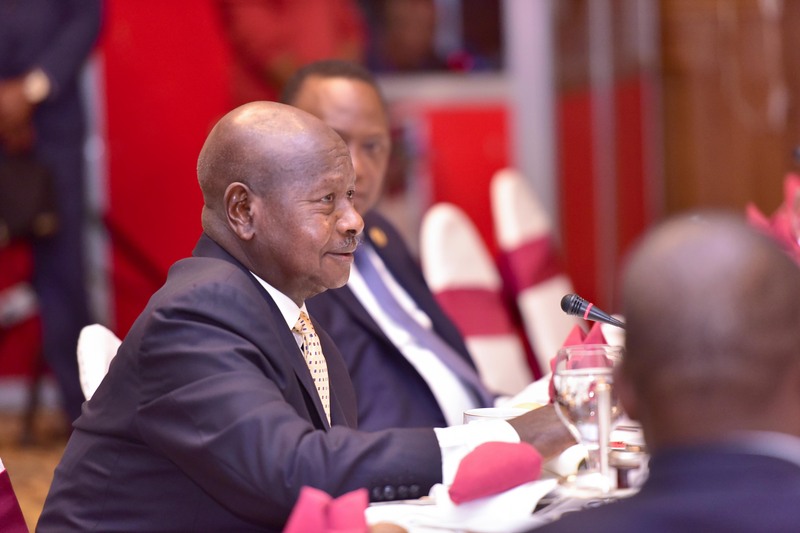 Museveni made the statements while presenting a report on political integration to fellow heads of state and governments at the African Union Commission Headquarters in Addis Ababa, Ethiopia. The 12-paged report which he said were a summary of papers on Africa’s Economic and Political integration cast light on a possible united Africa since nothing makes us different from each other. Museveni also said he did not agree with the Late Gadaffi on a continental government but rather is for Nyerere’s strategy of forming strong regional federations. “Political integration needs more intimacy. The people should either be similar or compatible. That is why I prefer Mwalimu Nyerere’s strategy of Regional Federations where feasible. Mzee Kwame Nkrumah preferred a continental Government, like Muammar Gaddafi,” he said. “The African population is only divided into four linguistic groups. These are: Niger-Congo (Bantu and Kwa); the Nilo-Saharan (Hamitic, Nilotic and Nilo-Hamitic); the Afro-Asiatic (Arabic, Tigrinya and Amharic); and Khoisan (so called bushmen in Southern Africa). Therefore, the entirety of the African peoples are either similar or linked,” he added. Museveni urged African leaders and intellectuals to look for way how Africans can immunize ourselves against any and all threats against our survival, our sovereignty, our security and our prosperity in our land.